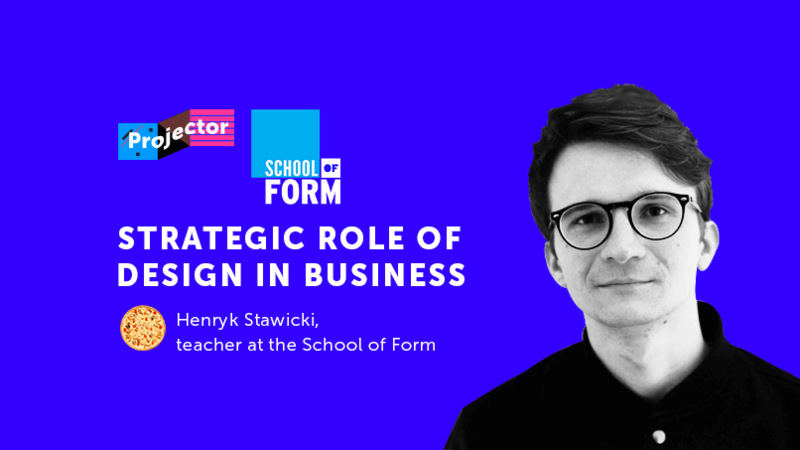 Henryk Stawicki offers a unique perspective as both designer and strategist and is capable of designing measurable, unique scenarios for the future. Leading a strategic-creative agency Change Pilots he helps organisations build strategies for services, brands and products using design mindset and process. Henryk consults and runs trainings in the field of design strategies&management tailored both for entrepreneurs and designers. He teaches Design Management and Design Thinking at the School of Form in Poland. Member of the Advisory Board at Gdynia Design Days and co-founder of CODEC - a network for strategic designers. Always working in transdisciplinary teams, he offers a multicultural perspective thanks to his years of practice in New York City, Poland and London in organisations such as IDEO or Parsons School of Form. Constantly changing global markets bring new types of needs, challenges and standards in production and management of products, services, information and interactions. Those who innovate and respond quickly to change, stand out by how they combine creativity with strategic thinking. Currently, each of the industries benefit from the potential of design (including strategic design, design thinking, service design and others) to achieve better results and stand out. In a surplus economy we cannot just produce more and more of newer objects (or services). Today is not about designing the product right (at first). It's about designing the right product — the one which can strategically adress the deep needs of a dynamically evolving people of the Anthropocen era. This is why currently the strongest competitive advantage comes in the form of business solutions with design at their core. Today design is a scenario for the future where strategic designers and creative entrepreneurs are the new change pilots leading beyond today's limitations.